How RFID Based Laundry Management System Works? RFID is exceptionally useful and flexible technology, it addresses various application sectors where a tag is allotted to an asset, data is tracked and stored as per requirement. Omega-Cst has come up with one of the finest LMS(Laundry management solution) based on RFID tags, this solution is completely automated, user friendly, economical and customized as per required. Traditional LMS approach includes tallying clothes, materials manually keeping track of send and received items which consumes lot of time, manual work, manpower. This will be spared with our automated system. 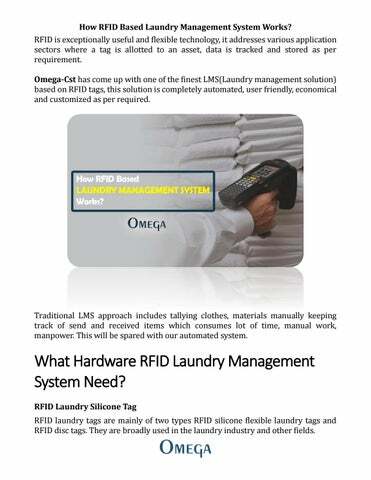 What Hardware RFID Laundry Management System Need? RFID Laundry Silicone Tag RFID laundry tags are mainly of two types RFID silicone flexible laundry tags and RFID disc tags. 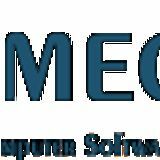 They are broadly used in the laundry industry and other fields. How RFID Based Laundry Management System Works? RFID Handset A RFID Reader is a gadget that uses radio-frequency waves to wirelessly exchange data between itself and a RFID tag/label in order to recognize, categorize and track assets. The Server the RFID server is the central control unit for all the RFID stations within the local network. How RFID Works? RFID Tag Label Stitched RFID UHF Silica gel laundry tag can be sewn specifically on clothes you need to manage or on sewn through a little bag. We suggest you unify a fixed sewing position. Data Entry The silicone chip of passive RFID tags can store information related with each piece of the clothing to manage the properties and electronic tag ID records the database to track each piece of clothing workflow and life cycle. Dirt Inventory Check RFID tunnel gadgets consequently collect and read each piece of dirty clothes ID and record. Due to non-labor inventory data, it not only improves the work efficiency, but also bring the comfort of the laundry work with higher quality services. Clean Clothes Inventory After the clothes are cleaned, RFID tags and readers read again to do inventory check and make sure whether there are clothes is lost during washing process. Hence, print out the record for clothes sorting Classification. The unique electronic tag can help clothes sort area, before packing, RFID reader writer confirm whether there is lost.